An alternative version of this comic will appear on Wednesday 2012-11-28. First man: Let me show you what we found in your MRI. First man: Feces. Gas. Urine. Bile. 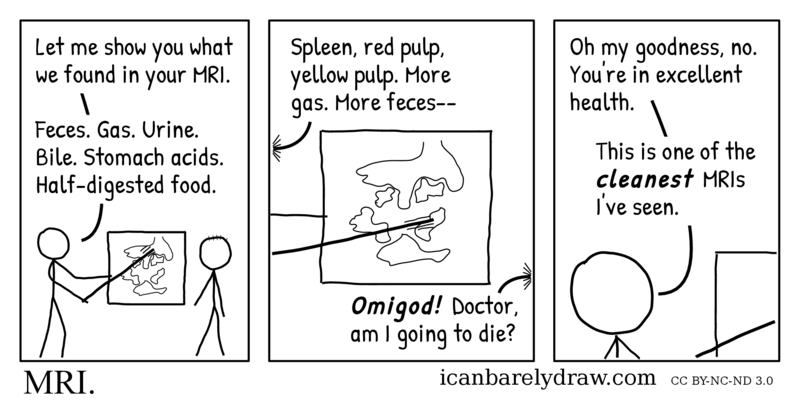 Stomach acids. Half-digested food. Off-panel voice from the right: Omigod! Doctor, am I going to die? First man: Oh my goodness, no. 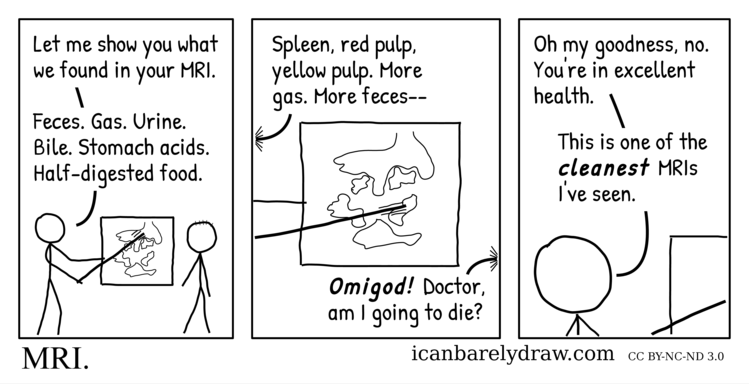 You're in excellent health. First man: This is one of the cleanest MRIs I've seen.